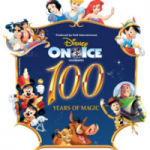 It’s the final set of dates of this current run of 100 Years of Magic from Disney on Ice and they’ll be at The O2 Arena, London. 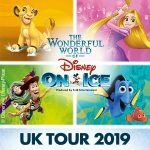 London’s biggest and best entertainment venue will host Mickey Mouse and friends in the glorious ice dancing celebration of everything which make Disney magical. 100 Years of Magic will run at The O2 Arena in Greenwich starting Christmas Eve, then with a show on Boxing Day and then running into the New Year. Featuring amazing dancing routines with a host of special guests from such Disney favourites as Aladdin, Pinnochio, The Little Mermaid, The Lion King and plenty more. This year also features a few of the newer gems from Pixar hits like Finding Nemo, The Incredibles and Toy Story. There are 16 shows planned at the O2 with many matinee and early morning shows throughout the holidays. 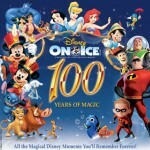 Don’t miss out, book your tickets for Disney on Ice, 100 Years of Magic at The O2. Birmingham’s National Indoor Arena (NIA) is prepared for a total Disney take over this October as 100 Years of Magic moves in. 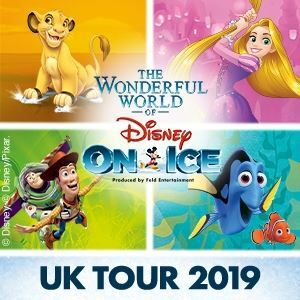 The perfect show from Disney on Ice features all of your favourite characters from the Disney universe and with 21 performances on the cards there’s plenty of opportunity to catch the big show. Booking from Wednesday the 22nd October to Sunday 2nd November 2014, 100 Years of Magic is all set to thrill and entertain audiences of all ages. Under 2’s go free as long as they are sitting on a parents lap. The show features character’s like Woody and Buzz Lightyear from the Toy Story series as well as The Lion King, Finding Nemo, The Incredibles, Aladdin, The Little Mermaid and so many more. 100 Years of Magic is the second big show for 2014 from Disney on Ice and it’s coming to Newcastle in October. Celebrating the very best in Walt Disney and the timeless characters throughout the years, this is an ice dancing spectacular like no other. Feld Entertainment have been behind these ice shows for over 20 years and their experience shows throughout. 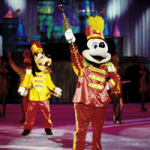 From world class ice skaters and amazing choreography to the bright colourful sets and costumes, it really brings the world of Disney to life. Bringing the show to the Metro Radio Arena in Newcastle Upon Tyne, Mickey Mouse and all his pals will be ready to entertain you! With characters like Ariel from The Little Mermaid, Aladdin and Bella and the Beast from Beauty and The Beast there will be something for everyone. From the classics of Snow White right through to modern hits like Toy Story. 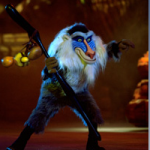 It also hails the return of The Incredibles as well as memorable moments from the wondrous The Lion King. Kids under two can go free at the Newcastle venue as long as they are sat on a parents lap! The Autumn/Winter Disney on Ice spectacular for 2014 kicks off with the first shows at the Braehead Arena in Glasgow from late September. Tickets for 100 Years of Magic are now on sale and the show promises to be one of the very best. With so many magical characters to appear it will be a delight for all the family. Mickey and Minnie Mouse will be hosting the ice dancing special, with guests from The Little Mermaid, Toy Story, Cinderella, Donald Duck, Pinocchio, Snow White and Aladdin amongst others. 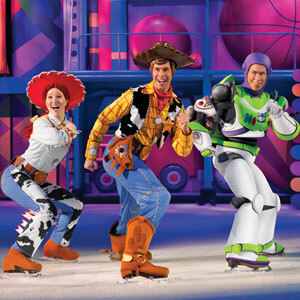 With top notch choreography and stunning musical numbers Disney on Ice enchants and enthrals audiences wherever it goes. Don’t miss your chance to see this amazing celebration in 2014. 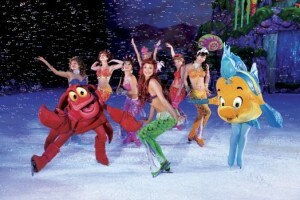 It’s the London shows for the latest version of the Disney on Ice favourite Worlds of Fantasy. Coming to Wembley Arena from Thursday the 17th April through to Sunday the 20th April 2014, this is the perfect all round family entertainment. 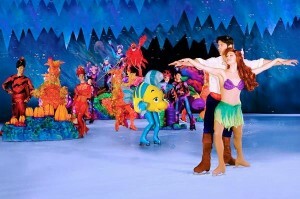 Brilliantly blending all your Disney favourites into a magical Ice dancing spectacular, it’s a guaranteed smash for all the family. Featuring characters from the recent Disney/Pixar films Cars as well as Buzz Lightyear and Woody from the popular Toy Story tales, Worlds of Fantasy will delight and enchant audiences of all ages. 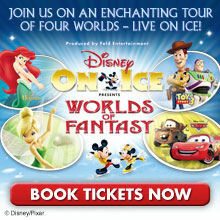 The waterside venue in Belfast, the Odyssey Arena gets the Disney on Ice experience from the 10th of April to the 13th April, with Worlds of Fantasy. Taking the audience on magical journey into fantastical undersea kingdoms, the world of Toy Story and other enchanting lands in the Disney universe. Feld entertainment have been behind these imaginative performances for over 20 years, effortlessly blending the Disney characters and stories with dazzling ice dance routines. With world class skaters, brilliant music and songs and amazingly colourful outfits, these performances never fail to thrill crowds of all ages.